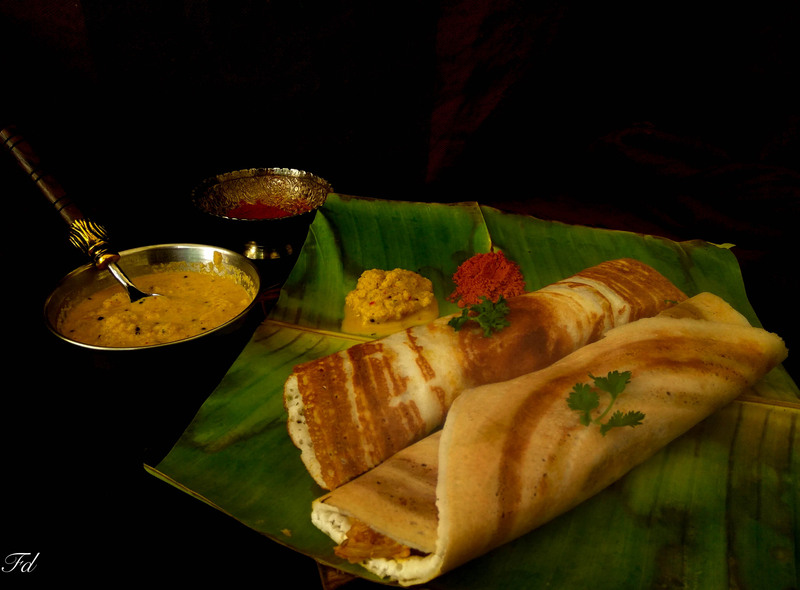 Who can say no to hot thin crispy dosa… served hot. 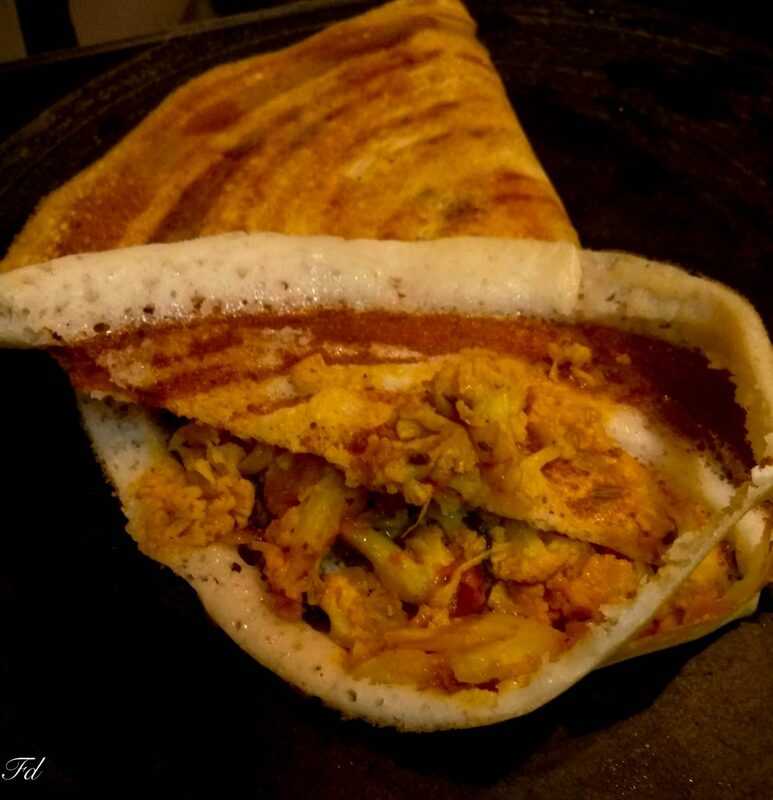 And if it has a yummy spicy filling too… This cauliflower masala dosa is a very tasty and heart filling breakfast. Prepare this for a weekend brunch . Cut cauliflower into florets and immerse in hot water for 20 minutes. Heat a kadai add oil. Add fennel seeds, green chillies, ginger, finely chopped onions, and sauce till onion turns light golden colour. 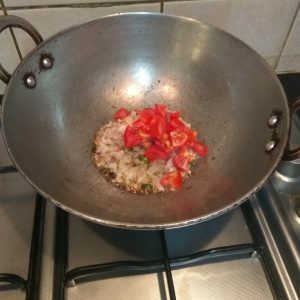 Add tomatoes and cook for 3-4 minutes. 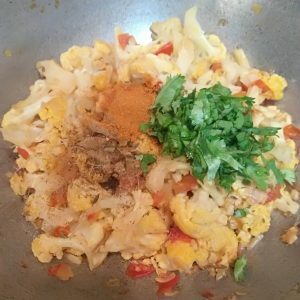 Add cauliflower with salt and turmeric mix well . 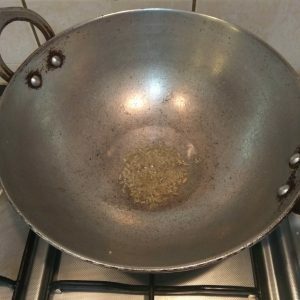 Close the lid and allow cauliflower to cook. 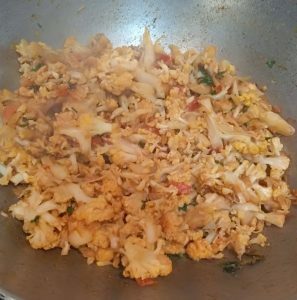 Once the cauliflower is cooked add vegetable masala, garam masala, chopped coriander leaves and mix well.cook for 1-2 minute in low flame. The filling is now ready. Heat dosa tawa, spread the batter. 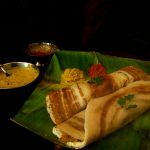 Drizzle oil and let the batter cook(with out flipping), now add the filling in one half of the dosa and cover with the other half. 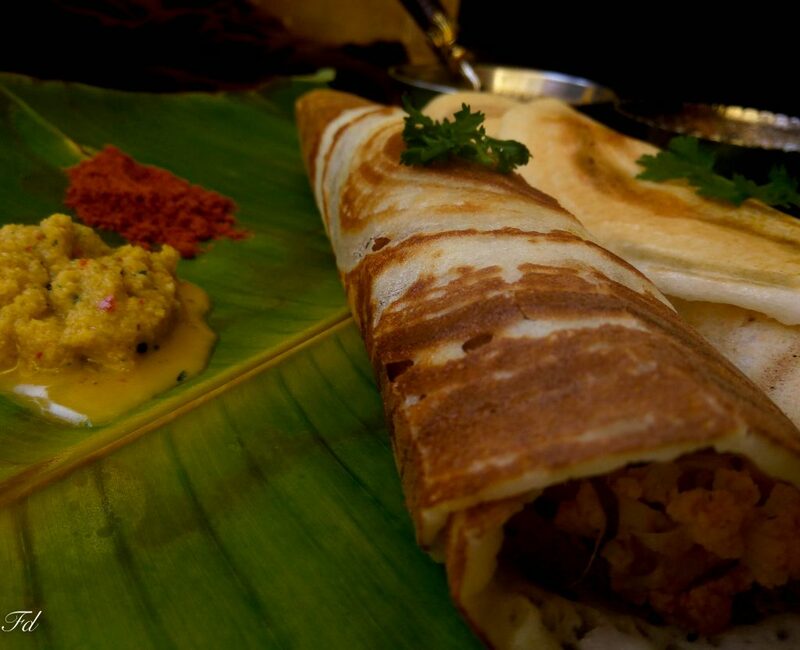 (no need to flip the dosa) . if needed add butter on of the dosa. Serve hot with coconut chutney. 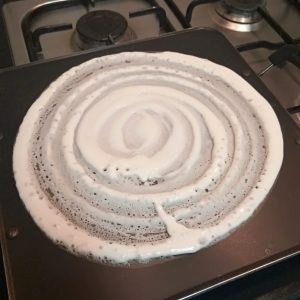 *Do not flip the batter while making dosa. Once the batter is cooked in medium flame spread the filling and cover with other side. Cut cauliflower into florets and immerse in hot water for 20 minutes. 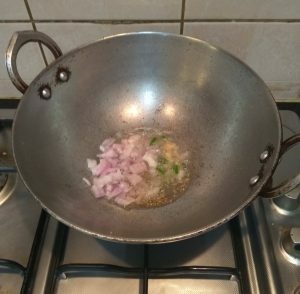 Heat a kadai add oil. Add fennel seeds, green chillies, ginger, finely chopped onions, and sauce till onion turns light golden colour. Add tomatoes and cook for 3-4 minutes. Add cauliflower with salt and turmeric mix well . 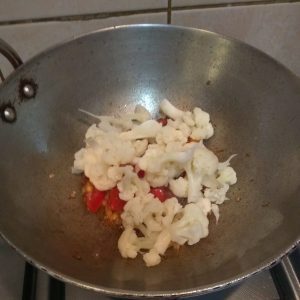 Close the lid and allow cauliflower to cook . 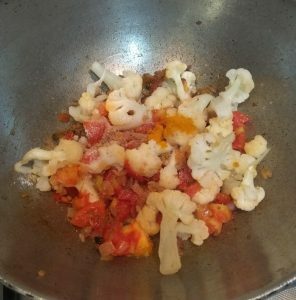 Once the cauliflower is cooked add vegetable masala, garam masala, chopped coriander leaves and mix well.cook for 1-2 minute in low flame. The filling is now ready. Heat dosa tawa, spread the batter. 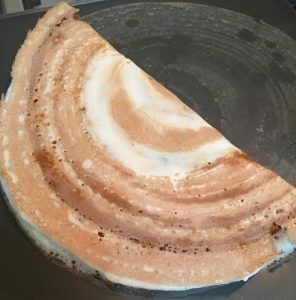 Drizzle oil and let the batter cook(with out flipping), now add the filling in one half of the dosa and cover with the other half. 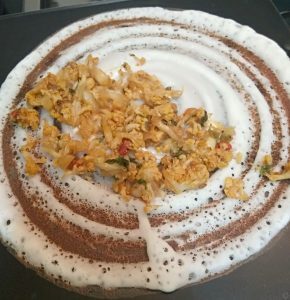 (no need to flip the dosa) . if needed add butter on of the dosa. Serve hot with coconut chutney. add butter on of the dosa. Serve hot with coconut chutney.